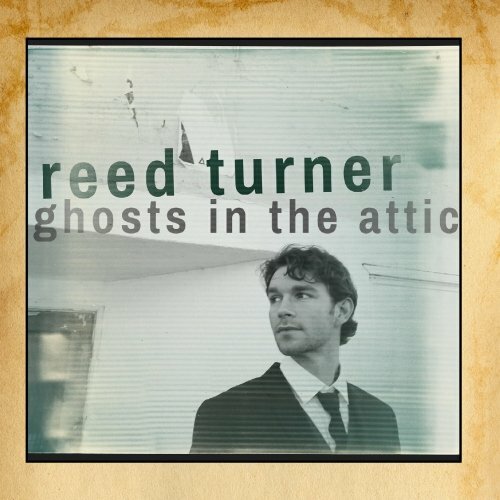 Reed Turner’s latest release, Ghosts In The Attic, is aptly named as it contains poignant and haunting music that not only entertains but stays in your mind. Turner was born and bred in Texas but has a Berklee-trained voice that has a wonderful soulful quality. He can be classified as an Americana artist as his music integrates blues, country, and folk in to a memorable mix. He is a vocalist/guitarist/ harp player who is backed by bassist Pat Harris, guitarist Brian Broderick, drummer David Sierra, fiddle player/vocalist Phoebe Hunt, vocalist Ellie Carroll, pedal steel guitarist Kim Deschamps, and pianist John Arnt who all help to give his music a full band sound. The key on several songs is Deschamps and his steel pedal guitar as it brings a plaintive quality. This is very apparent on the title track. He travels in a simple direction with “Room For Doubt.” “The Fire has incisive lyrics and the music is textured. Likewise, “Girl That Killed (Cause She Was Killin’ Me)” proves that he can spin a tale, in this case a story of murder. Reed Turner has produced a sophisticated album that should please fans of any number of musical genres. Ghosts In The Attic takes its place as one of the better releases of the new year.